A National Treasure teahouse constructed by Nobunaga ODA’s younger brother. URAKUEN Japanese garden is located at the east of INUYAMA castle with National Treasure teahouse JOAN, important cultural asset SYODENIN SHOIN house, teahouse GENAN restored based on old layouts, and newly built teahouse KOAN and has a solemn atmosphere. JOAN was designed by a tea ceremony pioneer Urakusai ODA who was born in OWARI area. 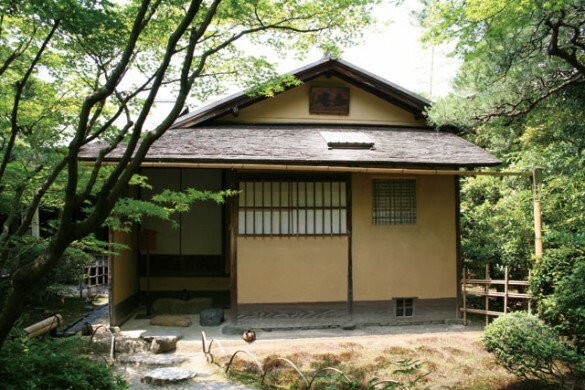 This teahouse was designated as a national treasure in 1936, and as this fact tells, it is a very important asset in the history of Japanese tea ceremony. 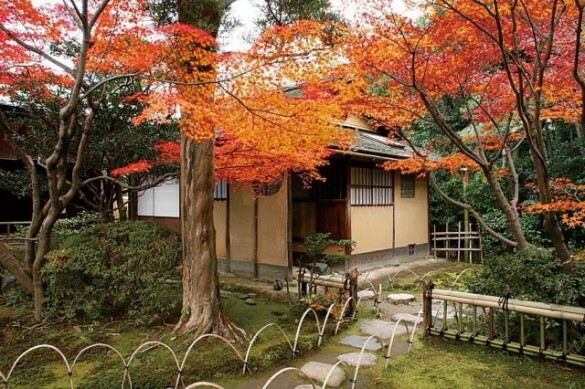 This teahouse remains one of the three best teahouses in Japan with JIAN teahouse and MITSUAN teahouse in KYOTO. Urakusai ODA, the younger brother of Nobunaga ODA, was born in 1548. Like a checkered life of Urakusai JOAN also moved from place to place through its life and finally was settled at its present location in 1972. At that time this tearoom started to be included in the garden and named URAKUEN. Legacy of Nobunaga ODA’s younger brother Urakusai and one of the three best teahouses in Japan. This teahouse is the only national treasure teahouse which is open all the time and full of unique designs such as FUSUMA (a framed and papered sliding door) with an old lunar calendar, windows with bamboo sun shades, and an unusually placed entry. 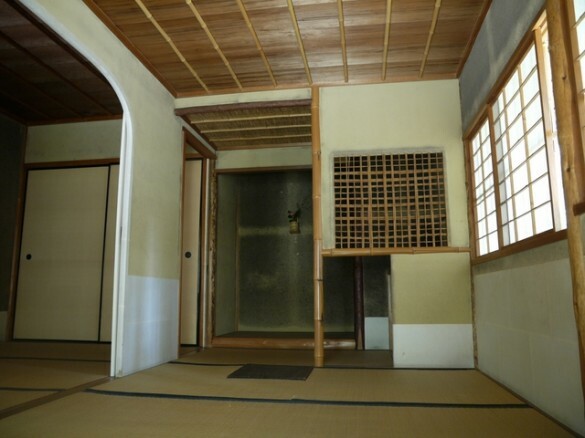 A restored teahouse based on old layouts of teahouse Urakusai built in Osaka. 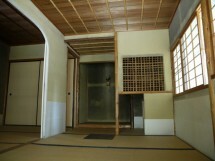 This teahouse has a layout called TEISHUDOKO, in which the host sits at the top of the tearoom. Newly built KOAN is a teahouse for tea parties held every season. KOAN has a washbasin which makes elegant sounds of water drops, with a pot concealed under the basin. 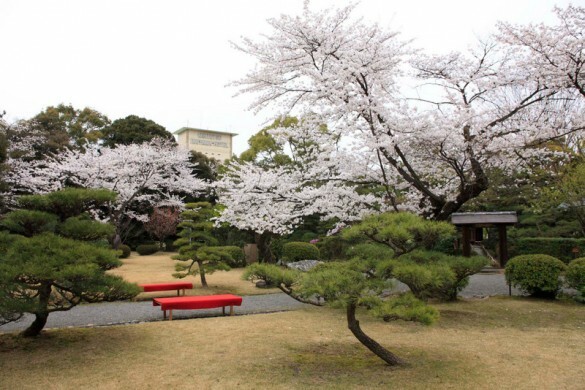 You can enjoy Japanese tea ceremony at an important cultural asset, SYODENIN SHOIN. With Japanese sweets only served here at URAKUEN and china made in INUYAMA, you can feel the essence of the beauty of both the Japanese garden and the tea ceremony.